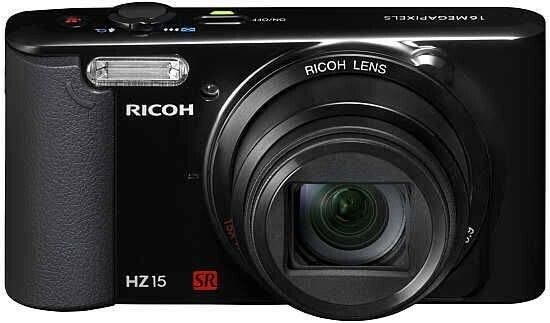 Listed below are some of the rivals of the Ricoh HZ15. The brand new Canon PowerShot SX160 IS is one of the more affordable travel-zoom cameras on the market. For less than £150 / $200, the Canon SX160 offers a 16x optical zoom lens, 16 megapixel sensor, 3 inch LCD screen and 720p movies. Read our in-depth Canon PowerShot SX160 IS review to find out if this is the right travel zoom camera for you. The Sony Cyber-shot DSC-WX300 is an affordable travel-zoom compact camera. A 20x zoom lens, 18 megapixel Exmor R CMOS sensor, 10fps continuous shooting, built-in wi-fi, Full HD movie recording and 500 shot battery life are all on offer. Priced at around £250 / $300, read our Sony Cyber-shot DSC-WX300 review to find out if it lives up to its full promise.